Wingtine Chardonnay is named after the specialized wing tine shank used to cultivate Goldridge soil, including our own Estate farm. 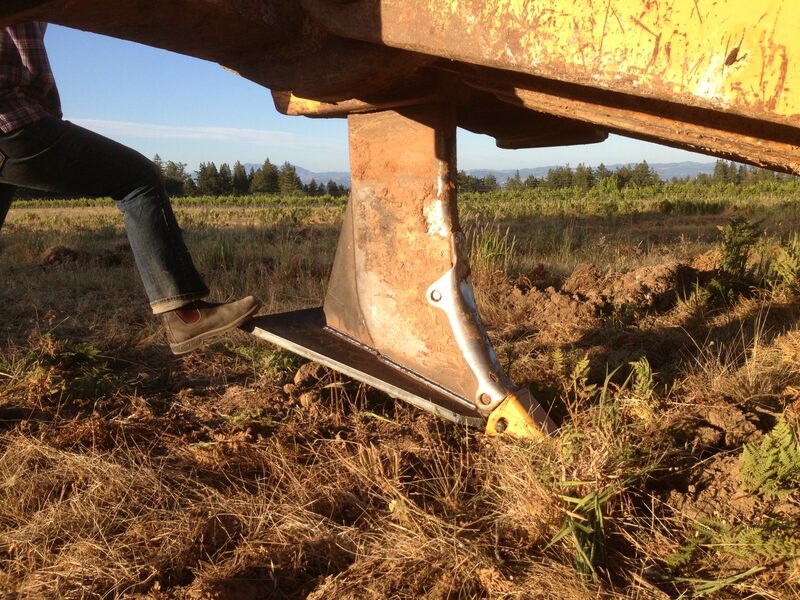 By lifting and fracturing the soil vertically and horizontally, this specialized wing–shaped plow reduces tractor passes, while maintaining soil structure and integrating sustainable farming practices. 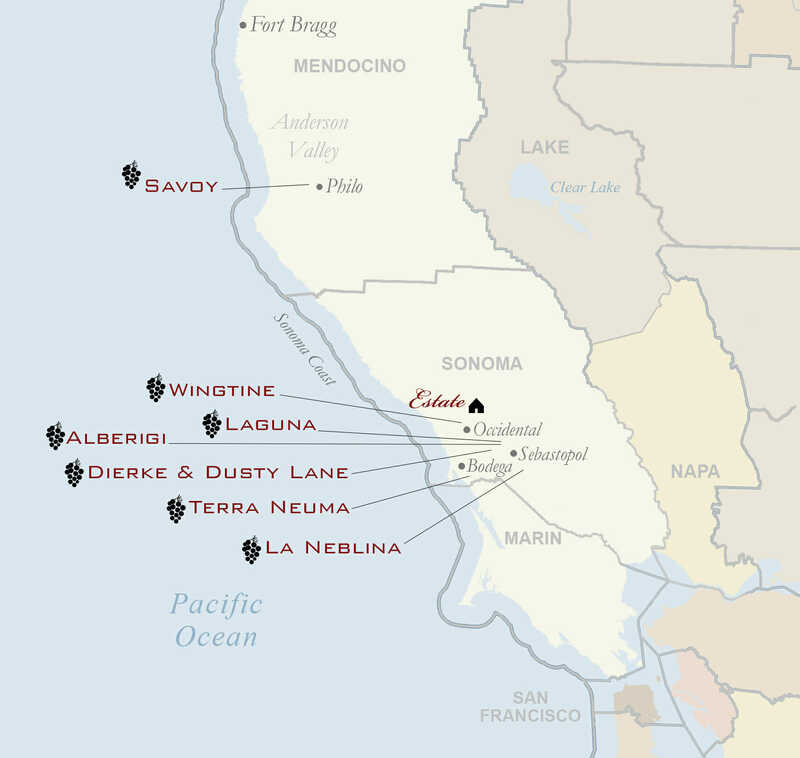 A blend of organically grown fruit from the Estate and our Heintz Vineyard neighbor, the 2017 Wingtine Chardonnay is a lively representation of the essence of the Sonoma Coast. The 2017 Wingtine Sonoma Coast Chardonnay is an elegant harmony between bright acidity and lush summer fruit. Fresh white peach and ripe cantaloupe deftly coalesce with Bartlett pear and dried lemon rind for a refreshing introduction. Nuances of baking spices and toasted wheat lend roundness and warmth, while a lively minerality lingers on the finish. Both approachable and compelling, the Wingtine is quickly becoming a Chardonnay classic.